Frosted window film is commonly known as a practical solution for privacy issues in bathrooms and bedrooms, as well as on glassed balconies and around pool fences. 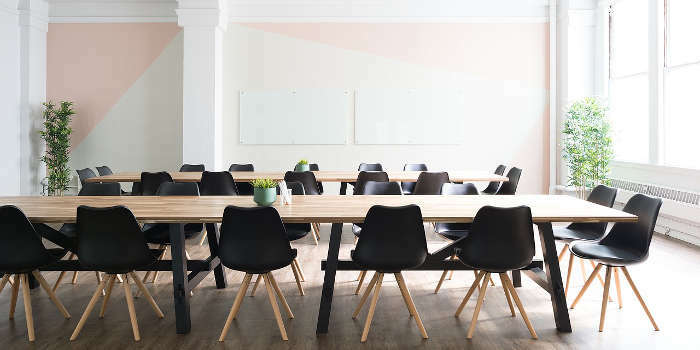 In recent years, decorative window film has become popular for window branding and as a versatile and highly affordable design material in interior design projects. 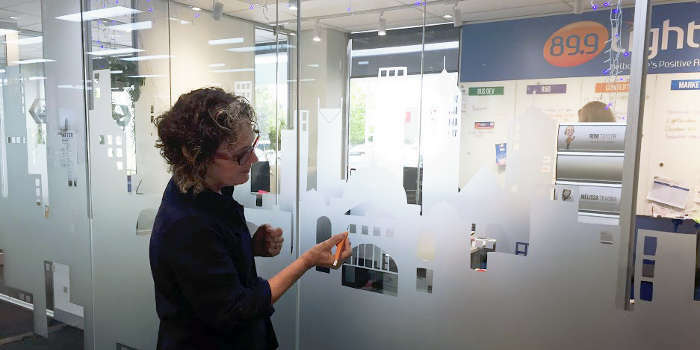 In our blogs we’ve talked a lot about using window films in office fitouts, for retail businessess and in large commercial offices. The design potential is endless. Not only is frosted window film very affordable, but it comes in a huge range of colours. The real advantage, however is its ability to be cut into almost any design imaginable. Window film technology has revolutionised the way that glass can be used in residential and commercial spaces. Popular design trends using large picture windows and expanses of glass create beautiful, light spaces that are a pleasure to work in. The downside is that even if well designed, privacy issues inevitably arise in spaces that maximise glass and light. That’s where the versatility of frosted window films provide an ideal solution. Privacy window film offers a privacy solution that out-performs traditional methods, like blinds or curtains, because it completely blocks out any visibility, but still allows natural light into the space. Window film is also a lot more practical, compared with blinds and curtains, because it can be used almost anywhere, including damp, wet areas and even outside. And if that wasn’t enough, it ‘s also super easy to clean. Forget about dusting venetian blinds or washing curtains, window film can be cleaned with regular glass cleaner, making it ideal for large areas and for use in large commercial buildings. We recently completed a job at the studios of 89.9Light FM in the Melbourne suburb of Mitcham. This job highlights the versatility of frosted window film as a branding material. The building was a typical commercial office space. Private glassed offices looked out into an internal corridor, creating a lack of privacy for occupants. While blinds could have been installed across the windows, this would have blocked all visibility. 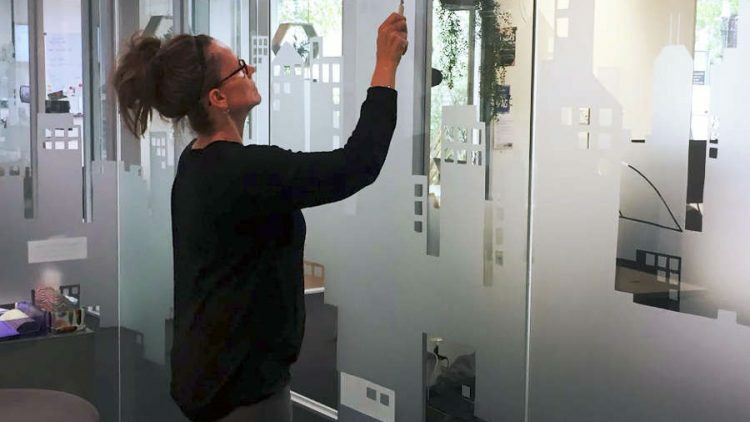 The preferred solution was to maintain the open design, but create privacy by installing decorative window film on the office windows only from the floor up to the line of sight. This created privacy for staff, without completing blocking visibility or light. Rather than install frosted glass in an opaque block-effect, it was decided to take advantage of the design potential of the film and use it to extend the Melbourne radio station’s branding. A Melbourne skyline design was chosen and cut into the film. The film was then installed across the main offices, creating a fun and quintessentially Melbourne themed design. You can see this decorative window film and branding project in our portfolios. To find out more about the advantages of using window film in your office or next branding promotion, contact us at Apply To Glass. We have over 20 years in the industry. We can help design your window branding using frosted window film and install it for you. We work with architects and designers across Melbourne on a range of decorative window film projects.